They won the battle, but lost the war. 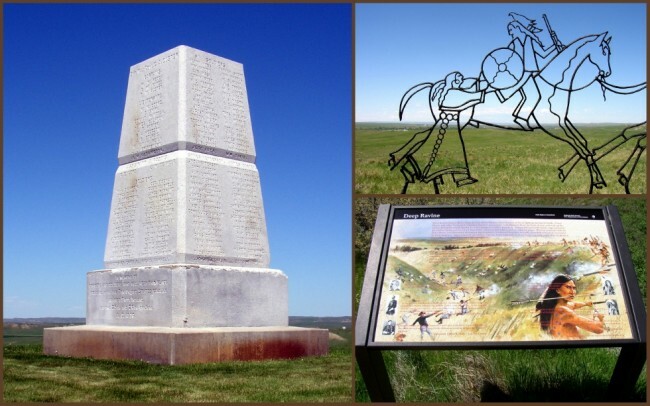 So goes the story at the Little Bighorn where General George Custer and his troops had their fateful “last stand”. On June 25th & 26th of 1876 where two very different cultures clashed to determine the fate of each. 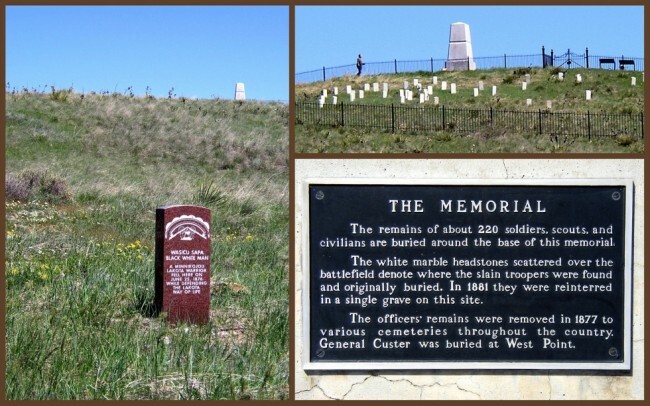 Over the course of these two days 263 soldiers and attached personnel fell victim to the attack of thousands of Lakota (Sioux), Arapaho & Cheyenne warriors. Though history records the Native Americans as victors, this was the final major battle where they would fight as free men. 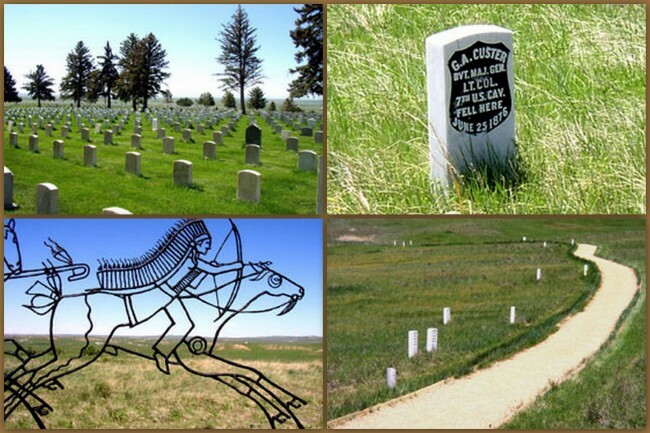 A visit to the Little Bighorn Battlefield National Monument will find you taking in the scenery, marked by rows of headstones. 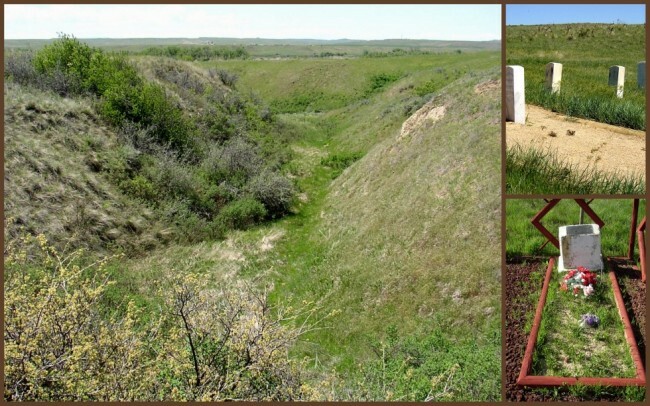 An interesting sidebar to this is the fact that many of the deceased Indians are not here as their remains were removed by family members following the battle, and interned in traditional Native American fashion (teepees or tree scaffolds) in the Little Bighorn Valley. You will find some monuments on-site showing where some warriors fell. In addition to the monuments you’ll be able to enjoy numerous pieces of “iron art” and spectacular Plains scenery all around. You’ll also find a large memorial with the names of the fallen. The officers were removed from the site in 1877 and taken to other cemeteries throughout the country. Though there is a marker to show where Custer fell, he’s actually buried at West Point. 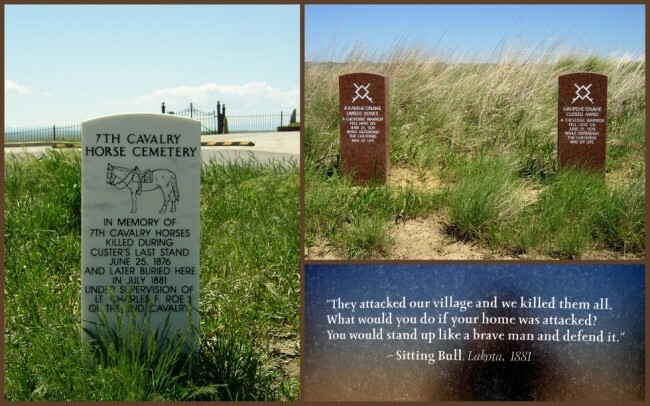 Also of interest is a marker for the 7th Calvary Horse Cemetery, commemorating the animals which died in battle. If you decide to visit, you’ll want to try and schedule your trip during the summer months when you’ll be able to attend Ranger-led interpretative programs. These are usually scheduled Memorial Day through August. Bus tours, conducted by Native Americans are also available through a local concessionaire. There is an entrance fee charged at the park. The monument is closed on Thanksgiving, Christmas and New Year’s Day, but is open the rest of the time. If you’re in to American History of the West, this is a “must see”. Last modified on: December 19th 2013.